You may set a large wipe and clean task to run at a specified time or event. You may have several such tasks, each starting at its own time or event. You may even start such tasks from a command line . • Tap the Schedule Task button. A Schedule Task dialog box will appear. 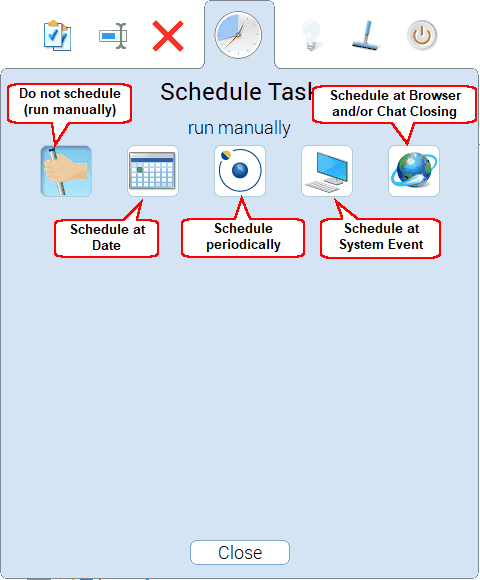 • Specify time or event at which the task will start and other task options on the Schedule Task dialog box, and tap the Close button.